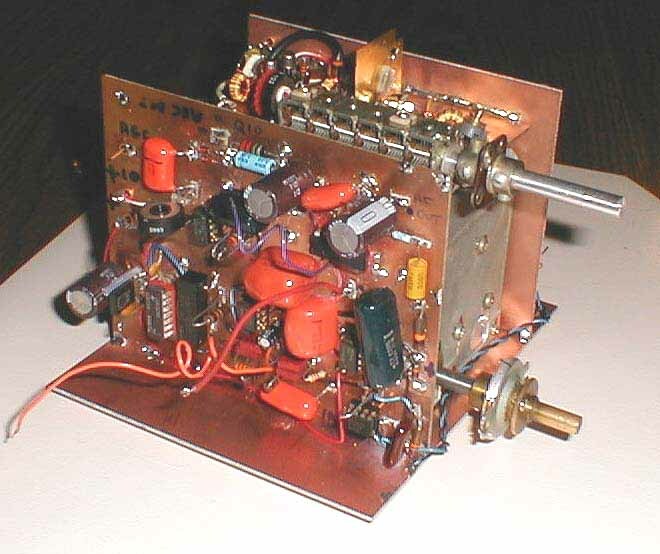 Here's a photo of the 20-M CW/SSB transceiver's AGC and audio board, shown during construction and testing phases of development. Yes, it's a quick "dead bug" lash-up, but it works! 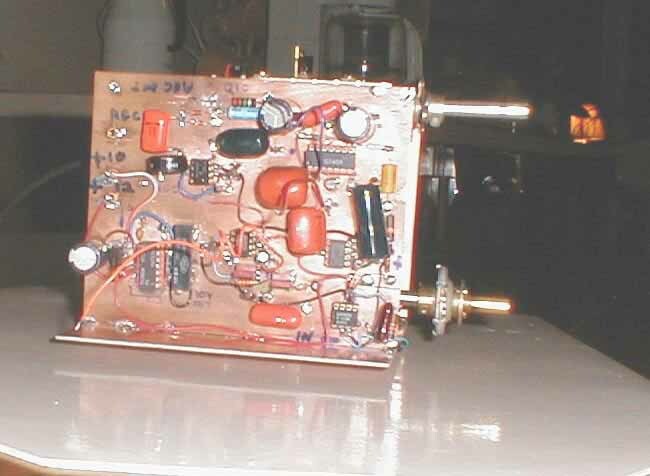 This view shows the transceiver's receiver section, with RF amplifier and front-end tuned circuit mounted atop the shielded VFO assembly. The multi-section variable capacitor comprises part of the set's tuned front-end preselector. Here's the IF amplifier and BFO board. The daughterboard at the upper right-hand corner is a 4-pole Ten-Tec 2.1-kHz-wide 9-MHz crystal filter. It was obtained new at a hamfest for 50-cents. Click here to return to the home page. 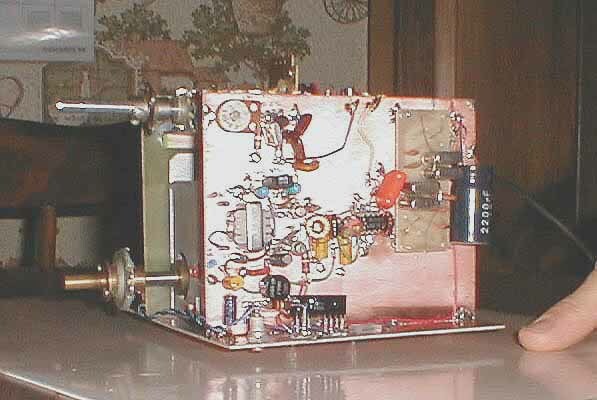 Click here to see the completed transceiver, along with magnified views of all circuit boards and assemblies.